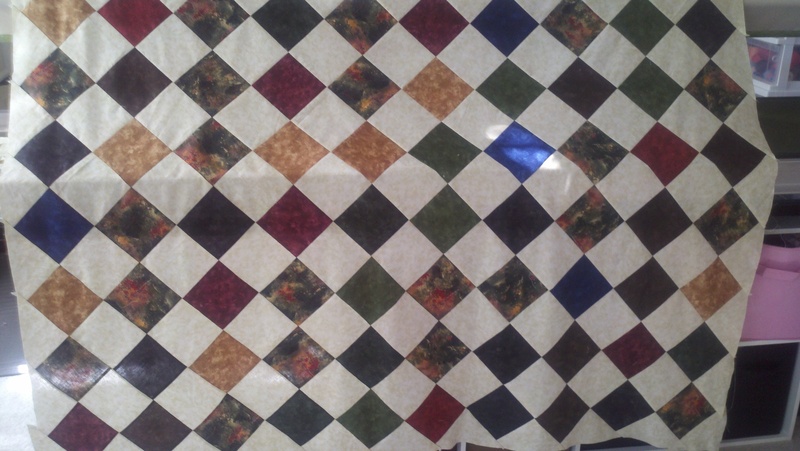 I find it sort of funny, when I deal with people in my business (I mean people in the quilting world, in general) only want to know about your quilting history. I am NEVER asked about my former career. I guess it’s funny to me because my “before” and “after” lives are SO dichotomous. Not sure about that word? Look it up :). At the end of my corporate reign, I was managing a 1.5 million square foot building. To put this in perspective, imagine your bedroom, which might be 15 foot square. 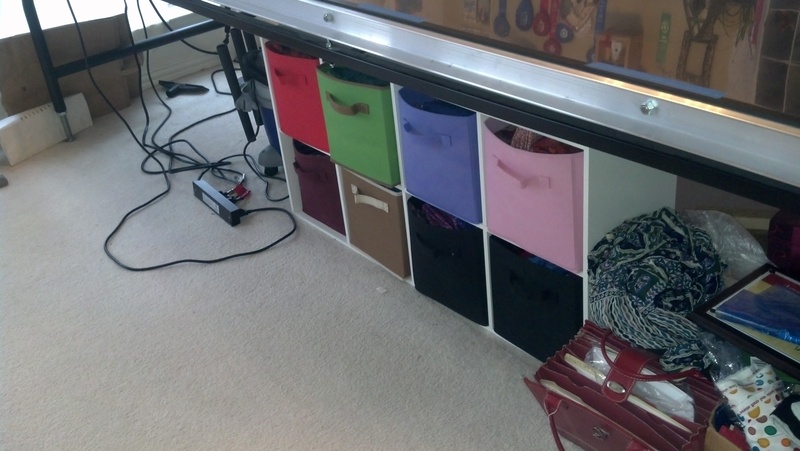 15×15 = 225 square feet. Or your house size = 3-4000 square feet? It was a REALLY big building; actually it was a warehouse, holding home improvement type goods imported from overseas. If I remember correctly, my budget for the operation was about $43 million. Yes MILLIONS of DOLLARS. Sounds like I’m loony? I don’t remember all the specifics anymore, but I solidly remember that my transportation budget alone was $17 million. We shipped to over 300 stores in 11 states on at least a weekly basis. So to pay for the use of the trailers, the fuel, etc. that was my budget. Add in rent, labor, supplies, utilities and corporate BS and boom – BIG money! I’m not bragging. I could probably figure out the words to describe how overjoyed I am to be out of that business, but I’m not going to bother. Suffice it to say, to me, now, that is just background. It is good background tho. I helped a Canadian lady I met on Etsy to build a business plan so she could get a loan for her natural soap company. And now that I have my feet planted on the ground with my business, and have some history tracked down, I am ready to make myself a firm business plan. Honestly I don’t know. I don’t think I want to know. I’m kind of scared to do that math. So I won’t. Ahhh, the perks of being the business manager. What I did take from this conversation is that I have a problem, a wound, if you will. And the best course of action for my business is to stop the bleeding. 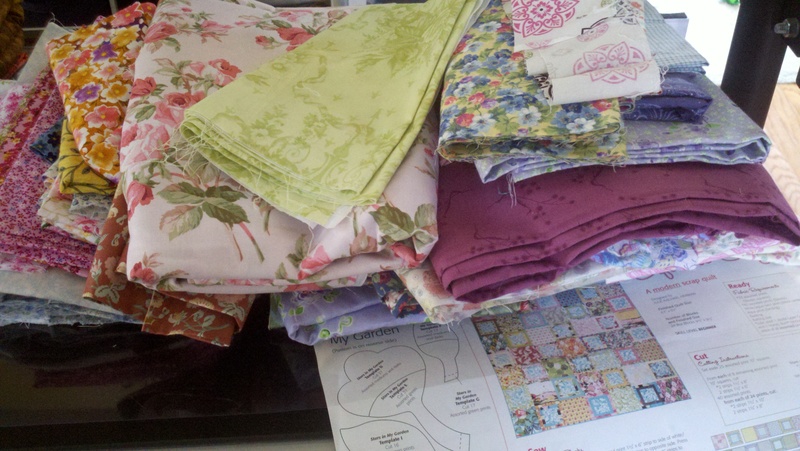 I have plenty of fabric (no I don’t / YES YOU DO / no I don’t / YES YOU DO – this is going on in my head at the moment). 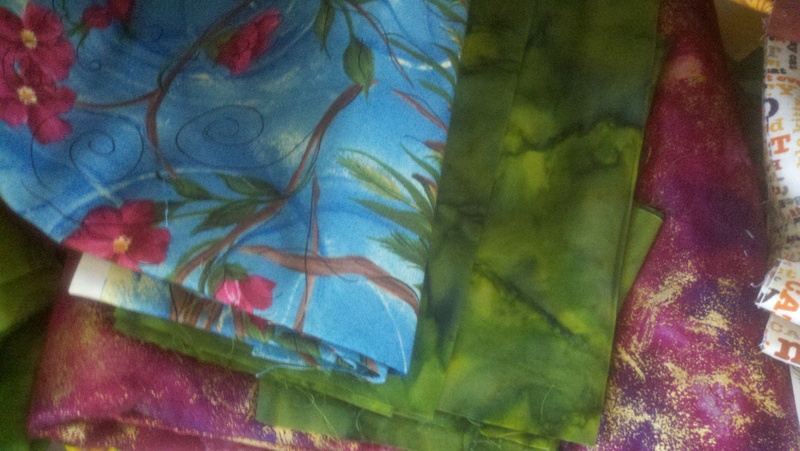 I have plenty of fabric and unless I need to buy it to complete a customer’s project, I need to NOT buy it. This truly stopped me from buying this beautiful panel at the store yesterday. It was really hard – I looked at it, and fondled the soft cotton, and then remembered my promise to myself and put it down and walked away. This is a pretty significant decision. 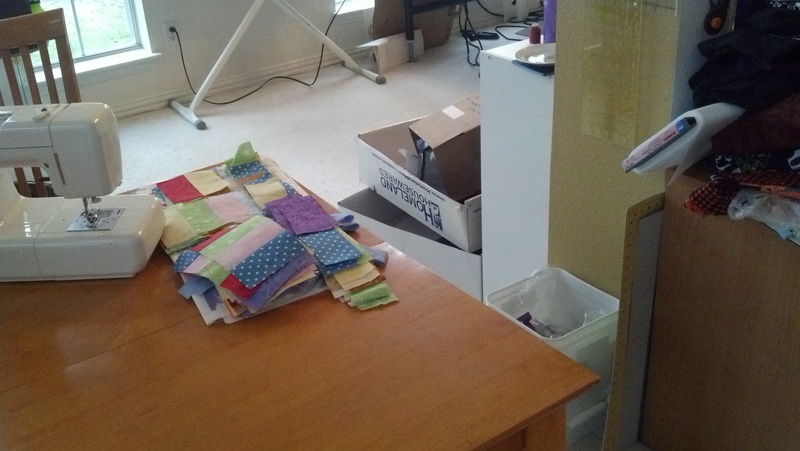 But truly, I have decided to work on these projects and make quilts for charity – I have a set of 3 quilts on my table in progress and that didn’t even make a 1″ dent in my stack of fabric! 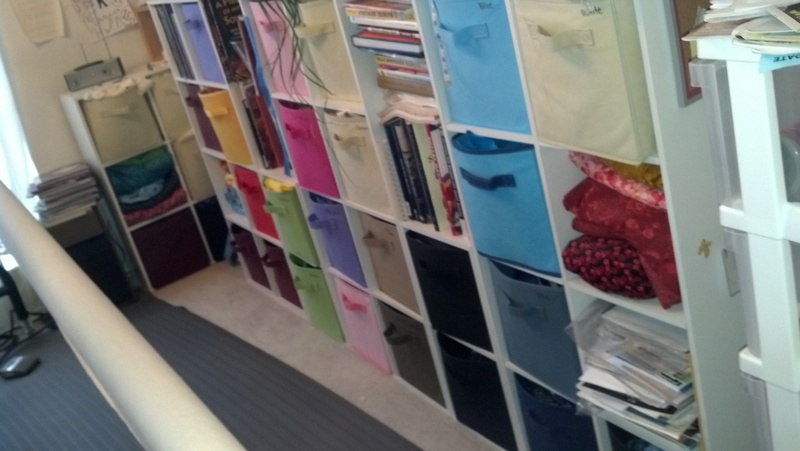 Those bins are all full of fabric. This is a good thing. I just have to keep repeating that to myself. I have enough. Ya, enough to make quilts for the next 10 years. So as a prudent business owner, I need to use my planning skills and business smarts to know that I am not allowed to buy fabric just because I want to. That was the biggest realization. Next I’m going to tackle a specific budget. I.e. at the end of each month, I will put the sales tax $ into another account. I will also figure out what % I think I should pay myself and what % to put into my expense account, for purchase of REQUIRED supplies. I think this is a pretty strong start. 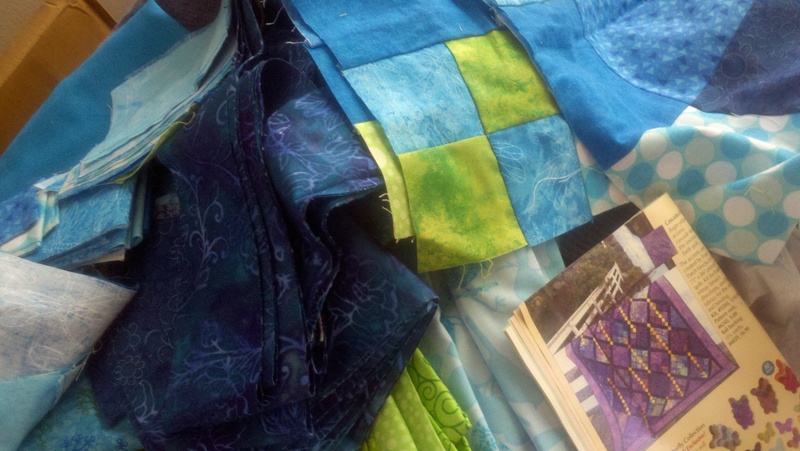 Now – on to some quilting! i decided that the best way to attack my very important decision to do charity work weekly, was to actually assign a day to do it. i wasn’t sure this week if that would be thursday or friday, but thought the best plan would be thursday in case friday got crazy busy. i was thinking going forward that planning on thursday’s would be my best bet. 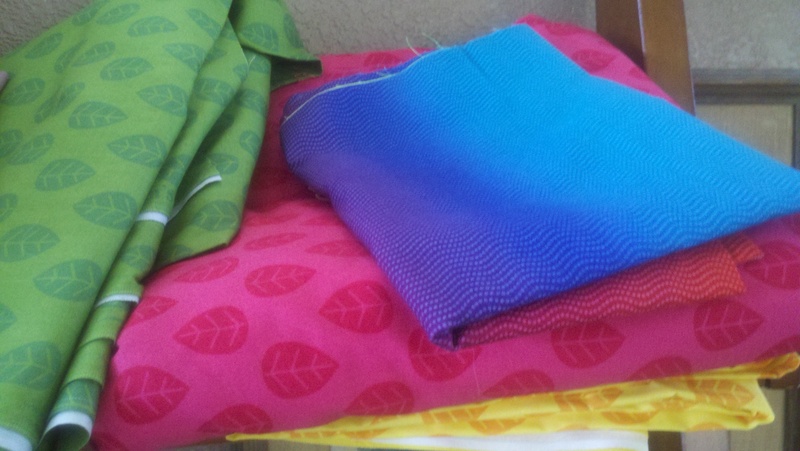 last week when i looked at some of my favorite fabric, i decided on the size of the main panel, and cut three, as well as figuring the inner and middle border sizes i wanted to have for the quilts. 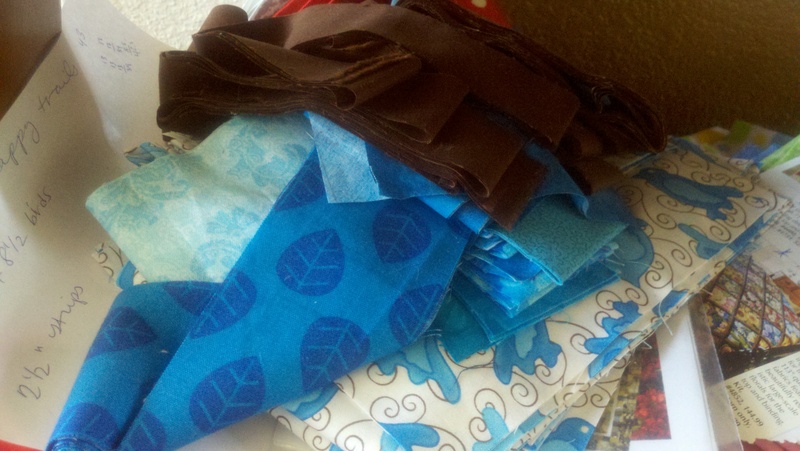 today i scouted out the bricks for the middle border, some from my scrap pile and some from my fabric bins, as well as choosing and cutting my inner border. 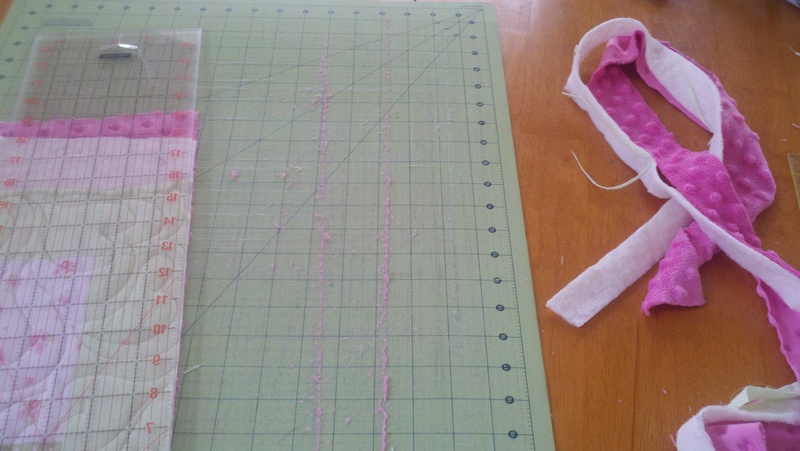 so i cut my border bricks into strips and am now ready to assemble them into the border bricks. 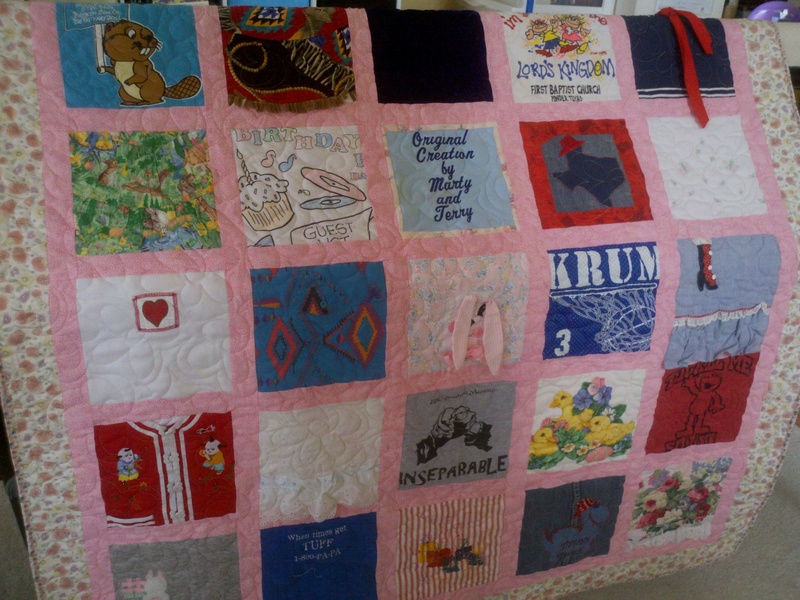 this is what the quilts will look like when finished (for the most part. they will be larger than this, square rather than rectangular). 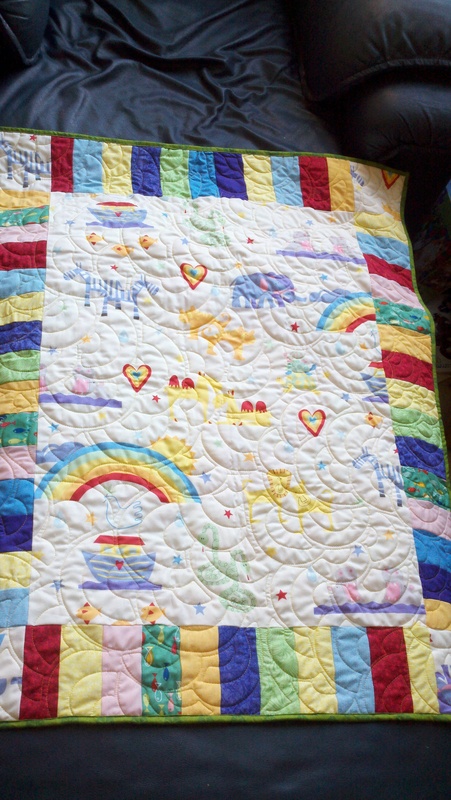 this one above i had quilted with baptist fans, so it looks like rainbows, which i think really is appropriate either way. 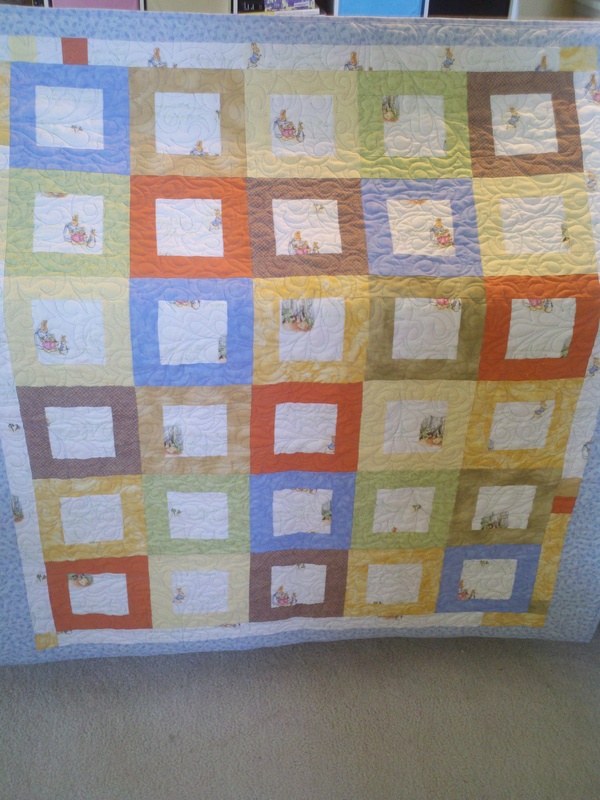 i feel so blessed to have the ability to make quilts like this, to do charity work like this. and THAT is why i feel it is SO important to give back to my community. 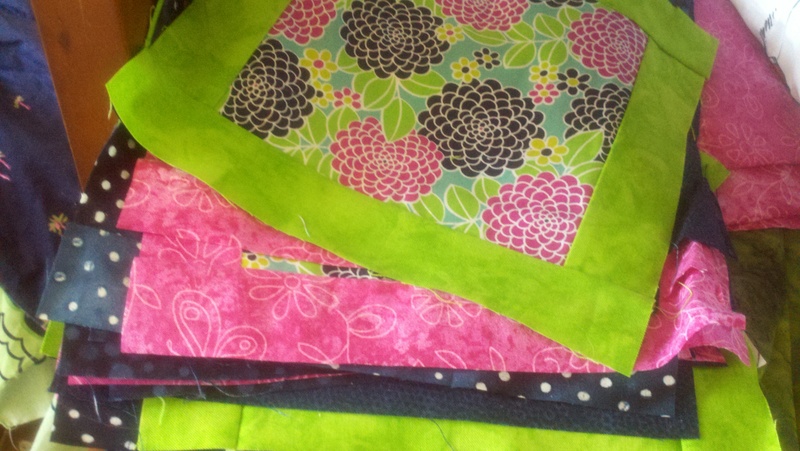 i didn’t get a charity quilt completed today, but that’s not what i promised myself i would do, so i’m not upset. i’m actually working on 3 at once, so i know it will take some time to get them all done. 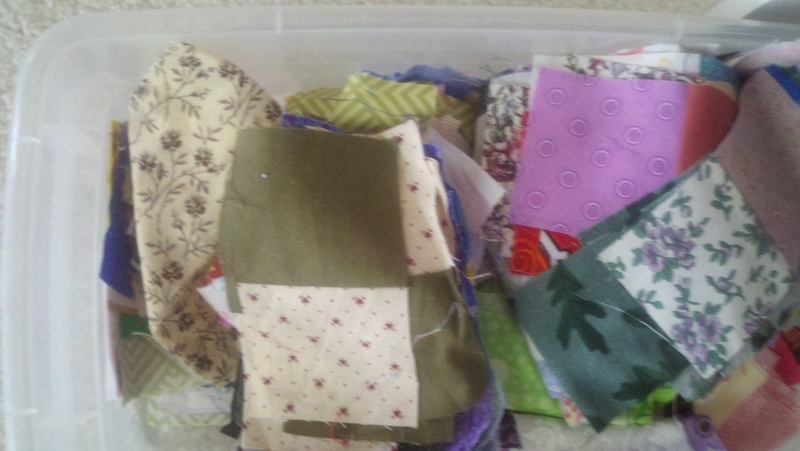 i did submit significant throught and time to these quilts, so i know i’ve made progress. Not sure why I haven’t written, since I have been feeling quite creative lately. 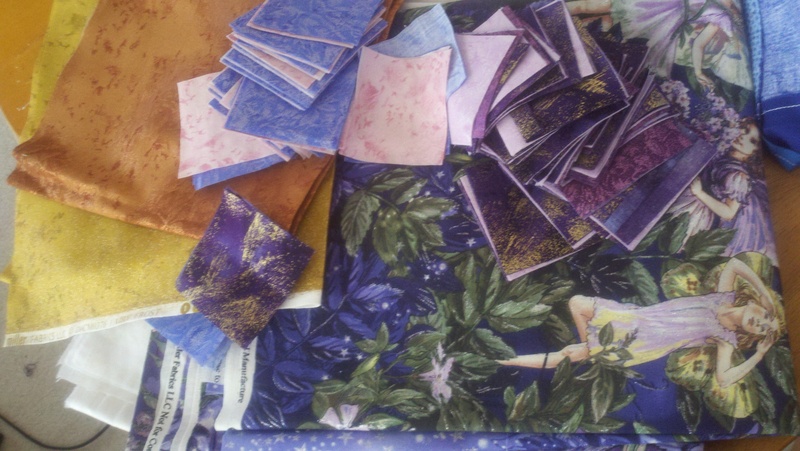 Seems like I want to put all of my creative energy into making quilt tops, which makes sense I suppose, since I have to quilt out of my normal environment for a bit. So let’s see… I don’t think I had this one finished last time I posted, but essentially it’s still not finished. It’s really bright, much more so than I anticipated, but I think once I get more fabric for the border it will be more appealing. 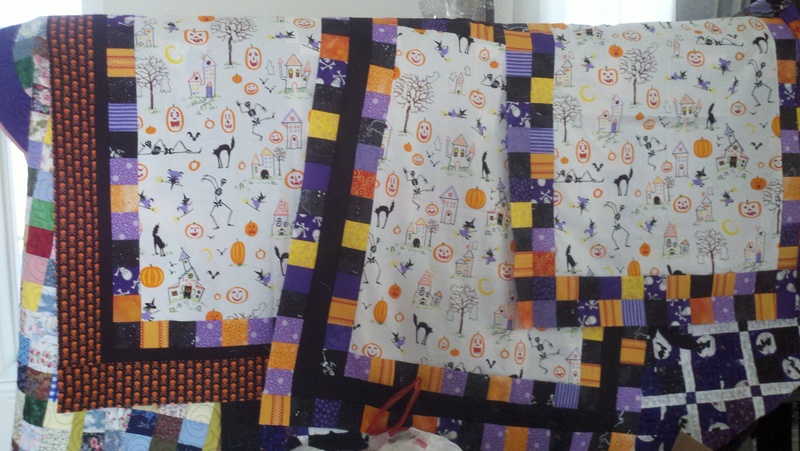 Then I finished up with my Halloween squares. 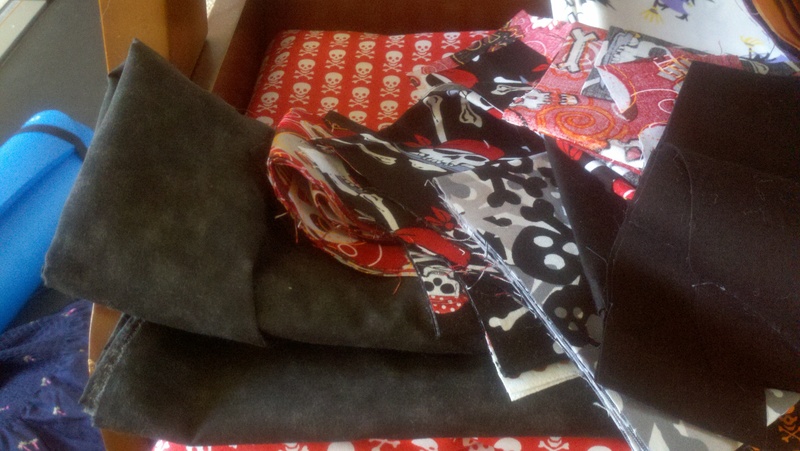 I actually have more of this center panel fabric, but I need a break from it for a bit. So I made these tops in a simple manner, but varying from each other slightly. 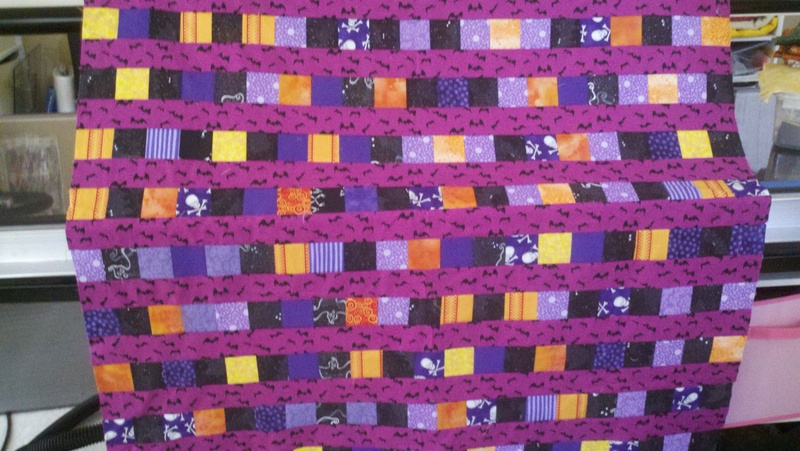 Then I had squares left over (before I realized I had more of the center panels…) so I took this magenta bat fabric that I was going to use with the center panels, but decided it didn’t coordinate, and stripped it with the remaining squares I had already sewn together in a long strip. 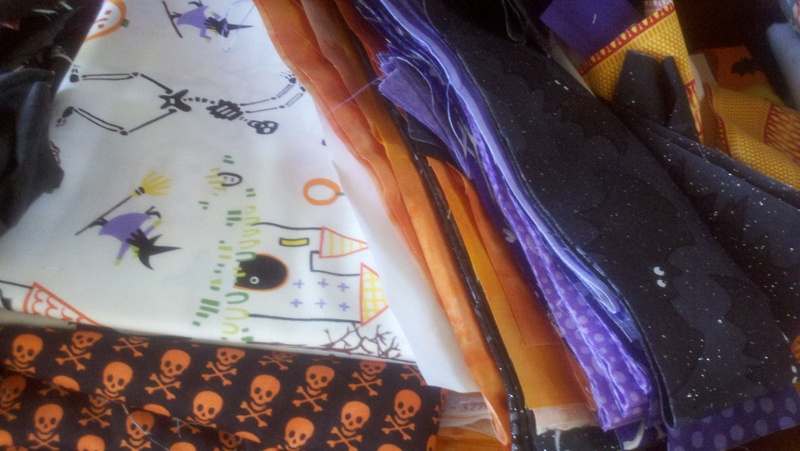 I ended up using almost every square, and each strip I’d cut from the batty fabric. 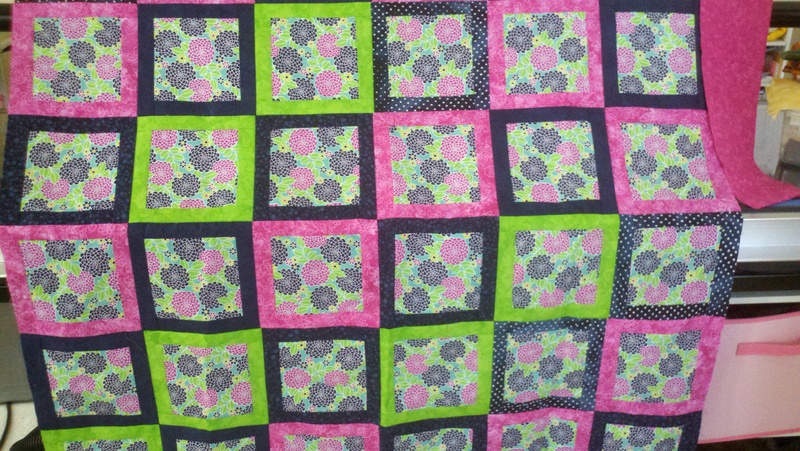 Just need more of the border fabric to complete it (it will be black with stars on it). I know I had finished this one, a simple but beautiful top. 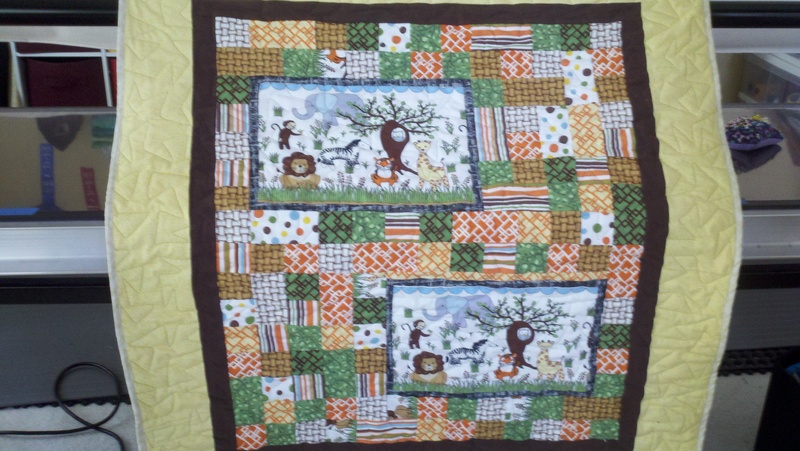 That put me in the mood to make more sophisticated and less playful quilts, and to use the colors of fall. 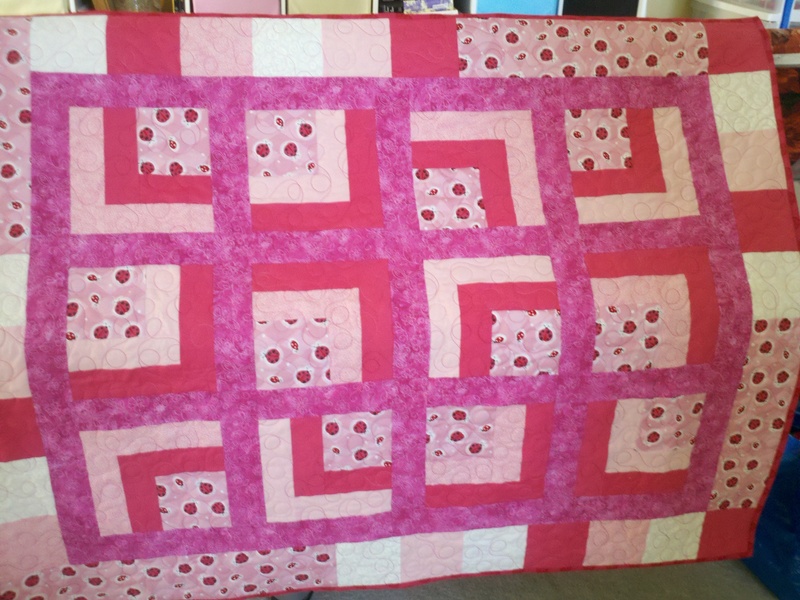 The problem is that the two quilts I decided to make I actually have patterns for, and I don’t usually use patterns, so this was sort of hard for me to have directions I was supposed to follow. 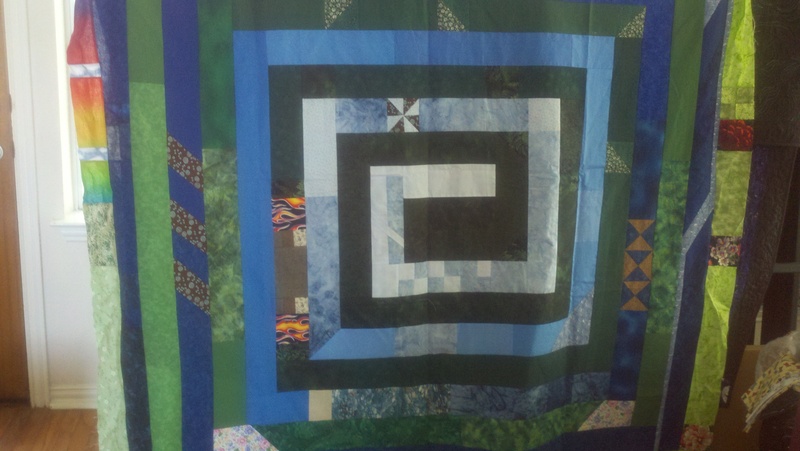 The result was that I got partway through cutting for one of the quilts and set it aside. But the Jacob’s Ladder is coming along nicely. 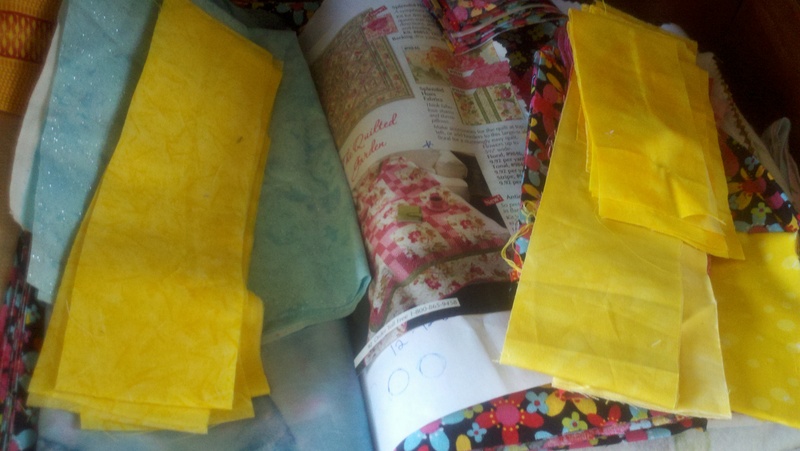 I have my 4blocks finished and my border blocks and triangles all cut. 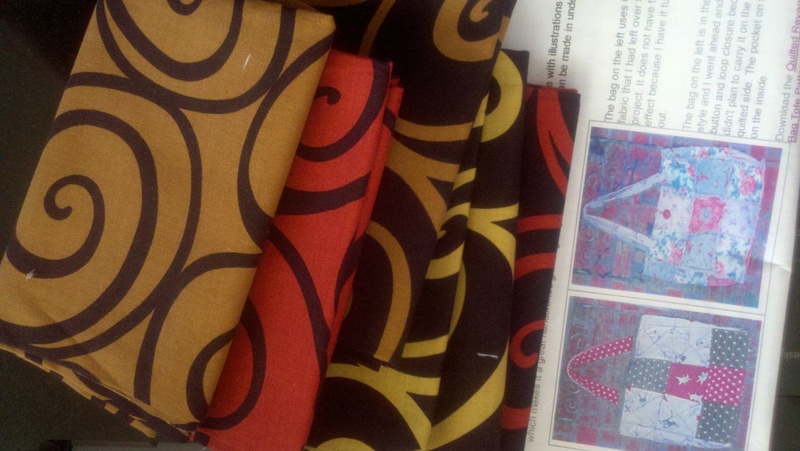 or a simple pattern I got from a sewing group that I will use batiks with. Not sure the colors I want to use so this one is still marinating in my brain. 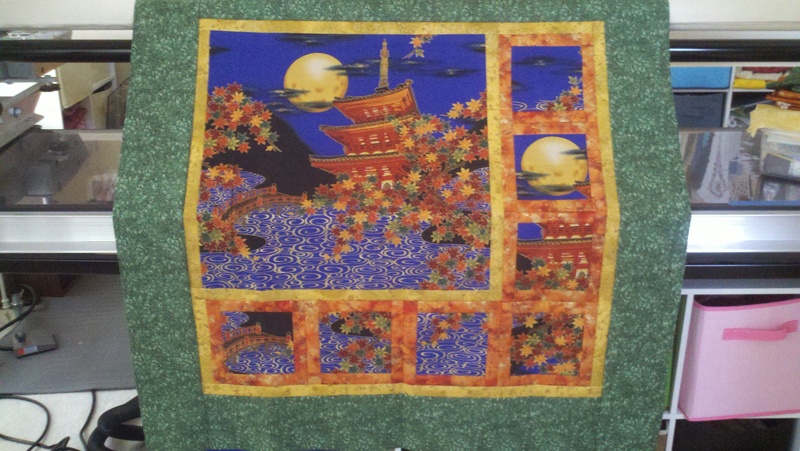 Oh and I got this panel just before it ran out at the quilt shop! So many ideas of what to do with this! And then… more triangles on the bench… but it looks SOOO cool!! I guess all that matters is that I’m productive and making things. That makes me happy, especially knowing that some of these will go to charity. 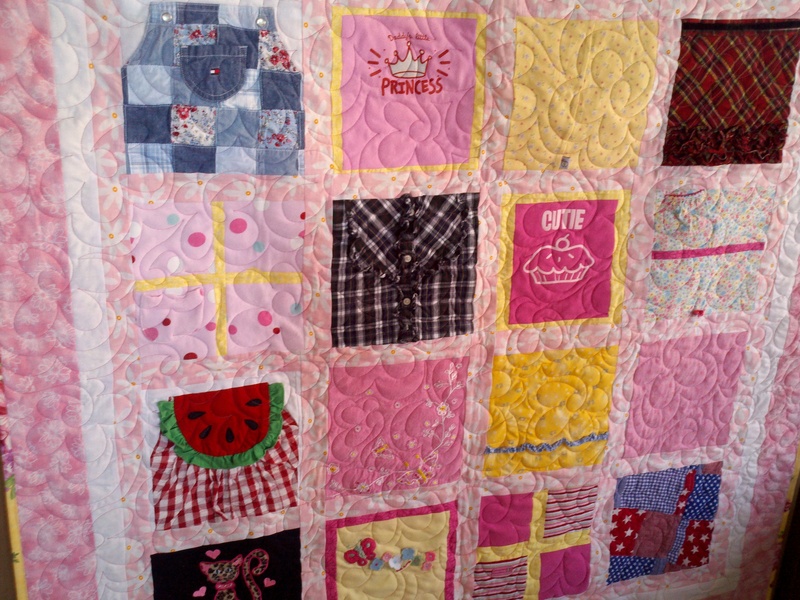 🙂 And maybe by the time it gets cold again here in Texas, I’ll have some of these quilted so someone can enjoy the warmth and beauty of them! 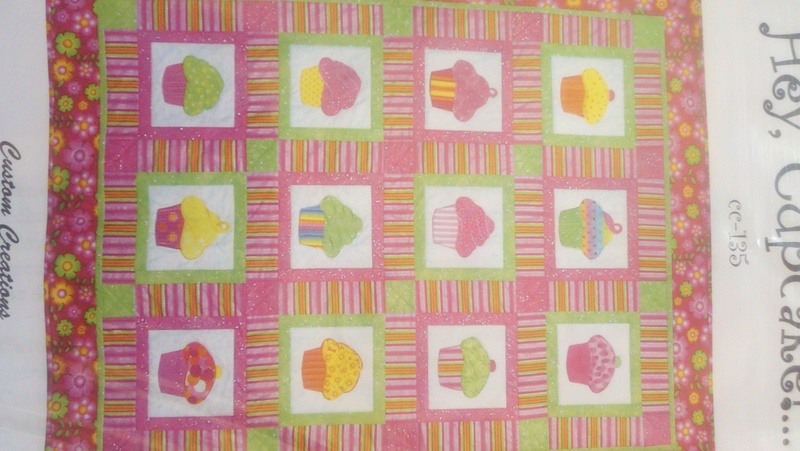 Happy quilt making my friends! I’m getting back to it! Woman, in this case. Actually machine but she’s female so there. 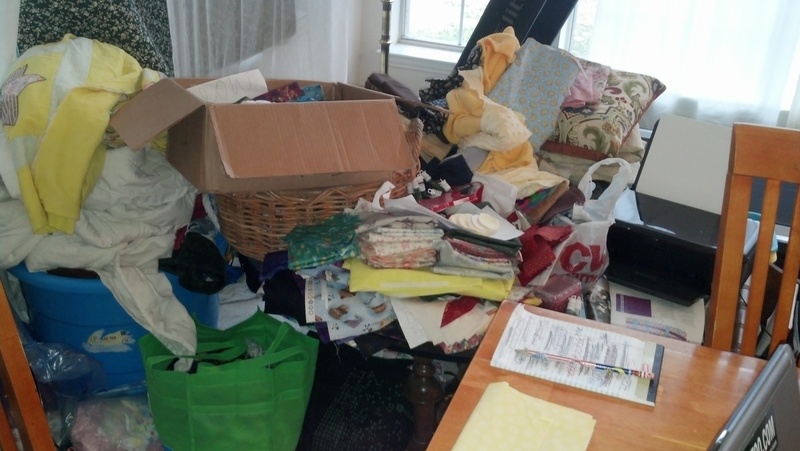 Technically I can quilt because of a very good friend that has offered use of her machine for me to finish my clients quilts, but this feels like losing a friend. I know that ultimately she’ll be ok, even better than she was. But considering that she is vital to my business and my sanity, I think this is a moment to bow our heads. So to keep myself entertained whilst she sits quietly aside, I have made the conscious decision to finish some UFO’s (un-finished objects). 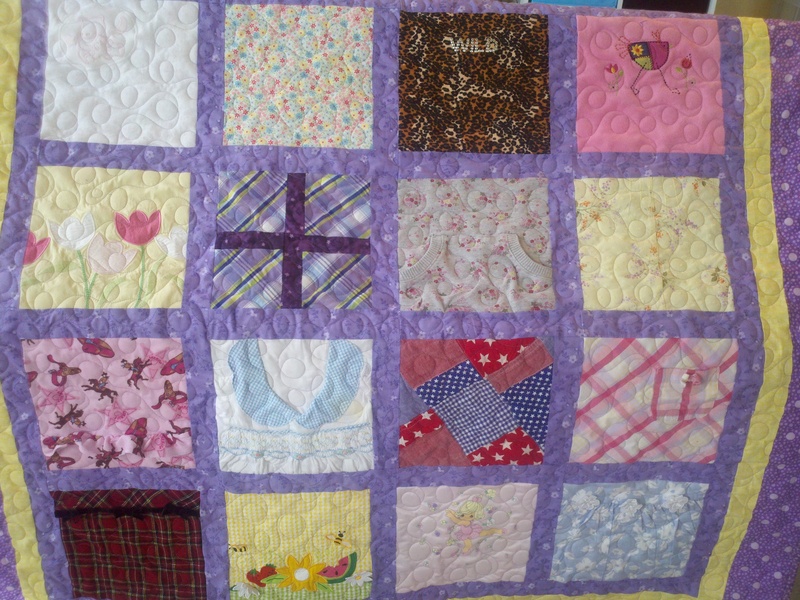 I finished my rag quilt (yes, the one I started 6 months ago). I finished the 9 patch variation top I was working on at retreat last summer. 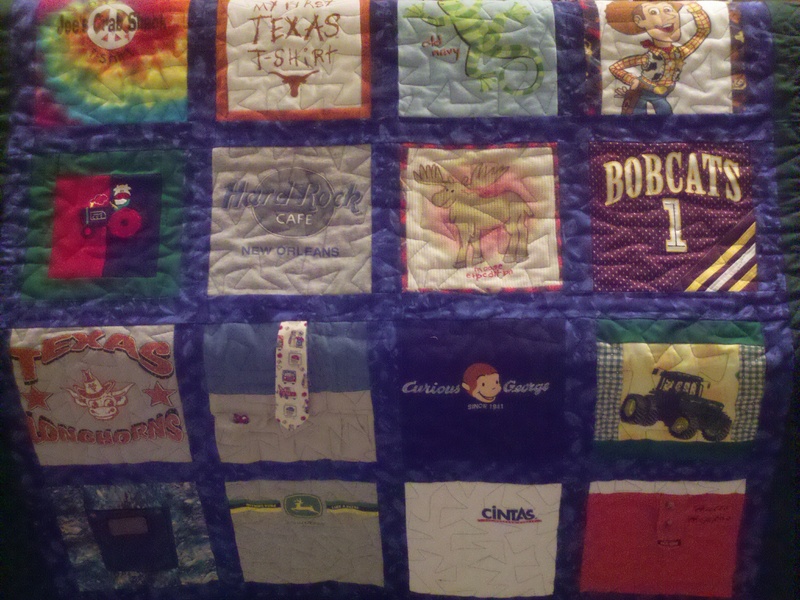 I don’t like how the middle border looks, but I’m not so dissatisfied that I’ll take it out. 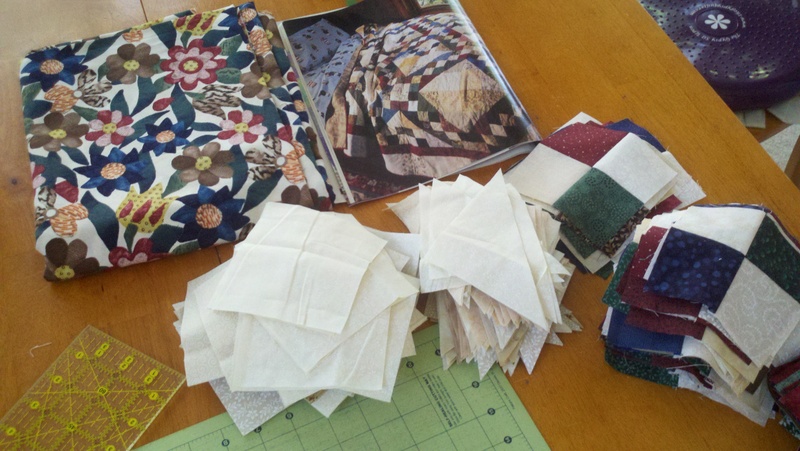 A few months ago I had some time and inclination, so I cut strips and squares and matched fabrics to patterns or photos I saw in magazines. 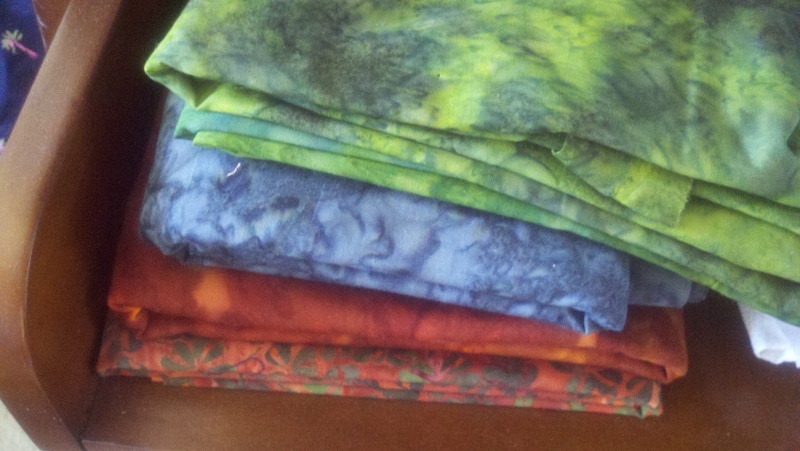 I had just spent more than a few Franklins at the quilt shop, so I figured I’d better get to using all that beautiful, colorful eye candy. 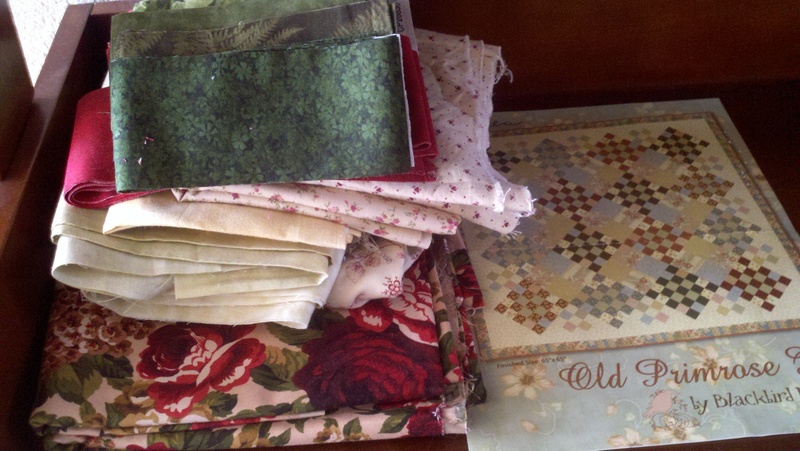 Then I got busy quilting and my piles have been awaiting me since. So I started working on those again yesterday as well. I really like how this one is turning out. The border will make it, with some really cool cornerstones. 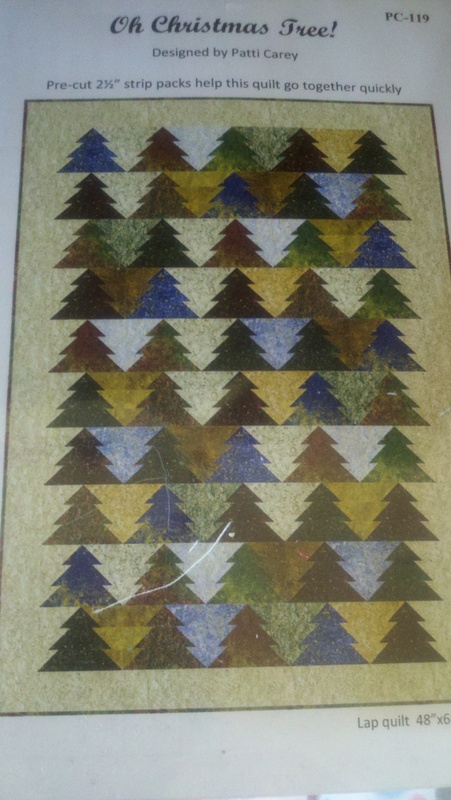 or the Tree pattern I got from my mom (with precut strips, you’d think I’d go for the easy first). Then there is this thing… I really like it because of what it represents. It’s the earth – water and land in a squarish spiral. It includes oil swirling in the water, flames roaring through the forest, flowers and waves. Still needs to be finished. 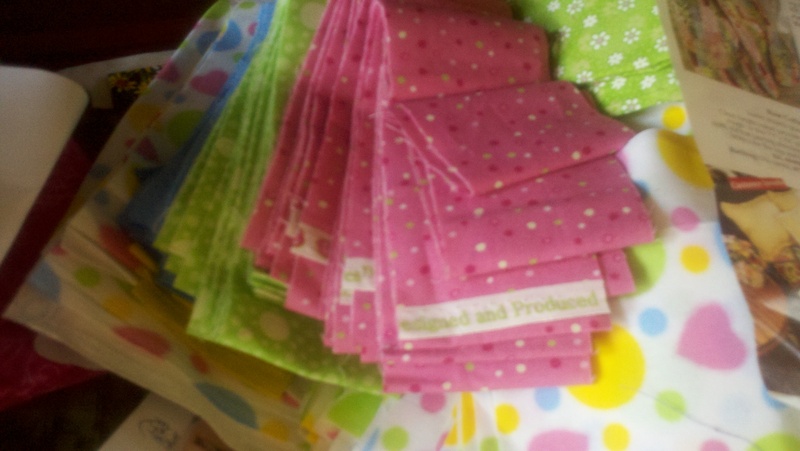 I started to cut 1″ squares and strips for this Scraps of Life quilt, from work shirt material..
and these are 1.25″ strips of scraps I was going to just sew together in rainbow fashion to see what I ended up with. 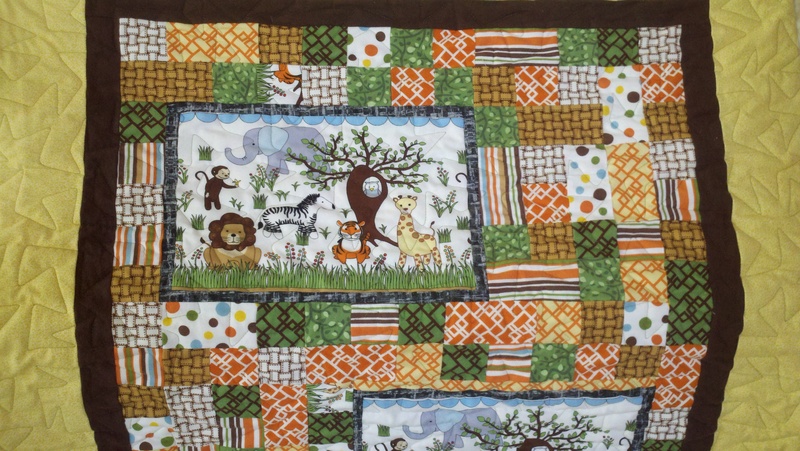 oh and then the quilt I was going to make for Amy from this photo… haven’t gotten very far. and these little turquoise blue birds! shucks, here’s the fairy frost I cut squares and strips for! 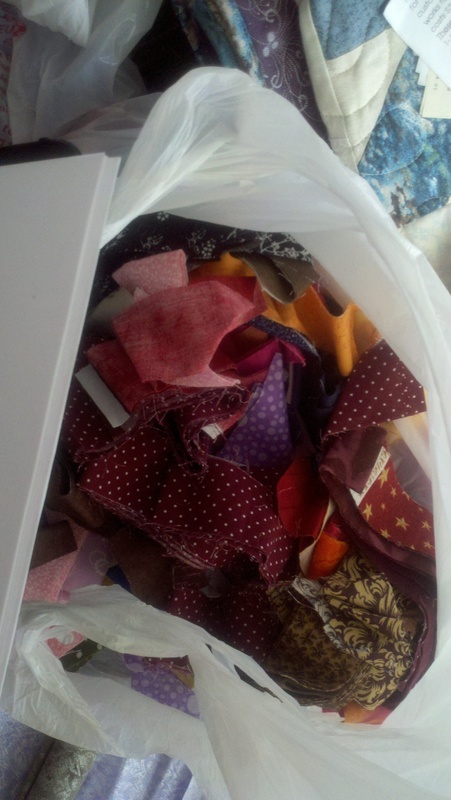 so I guess I should just stop panicking and get to work on these. 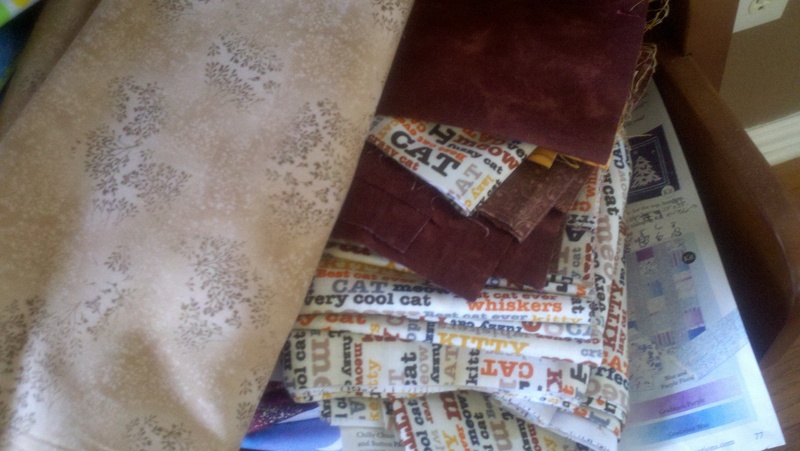 I feel a little overwhelmed now with so many projects to choose from! 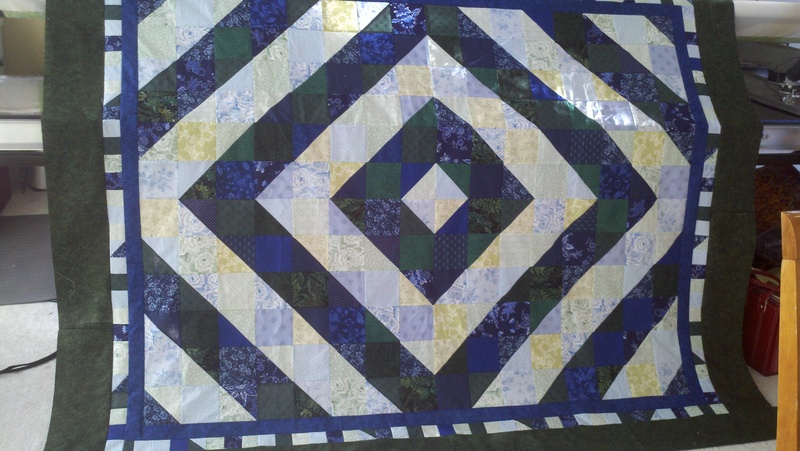 I think I’ll start with finishing the diamond quilts borders. 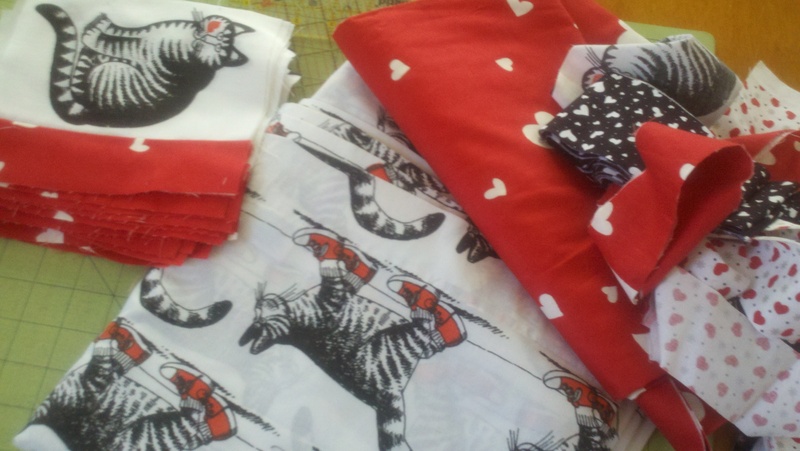 Happy quilting (or quilt making!) my friends! 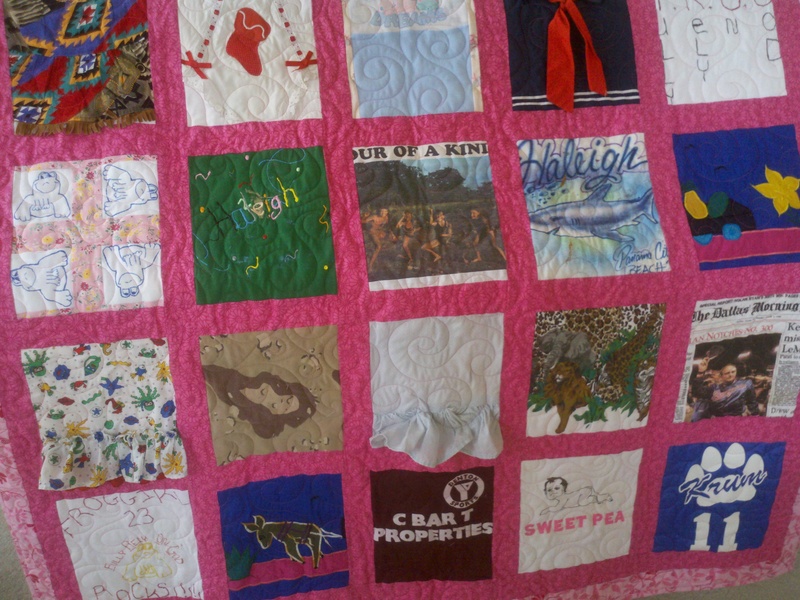 I love working on Quilt of Valor projects. 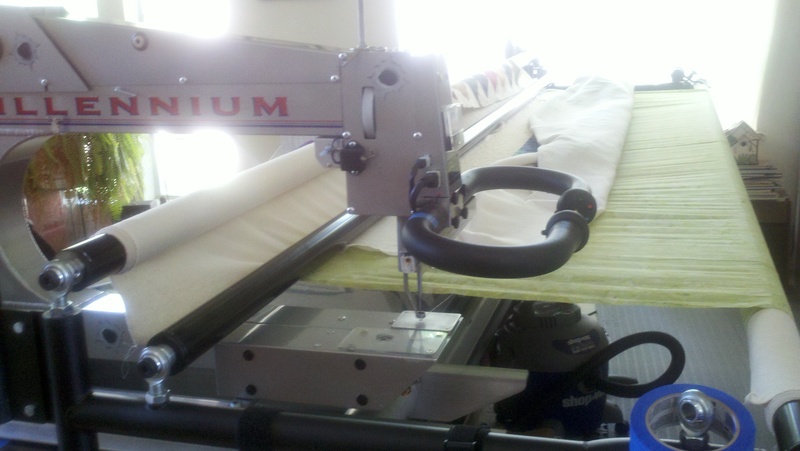 They are randomly assigned, and when they are, I get an email and communication begins with the quilt maker. 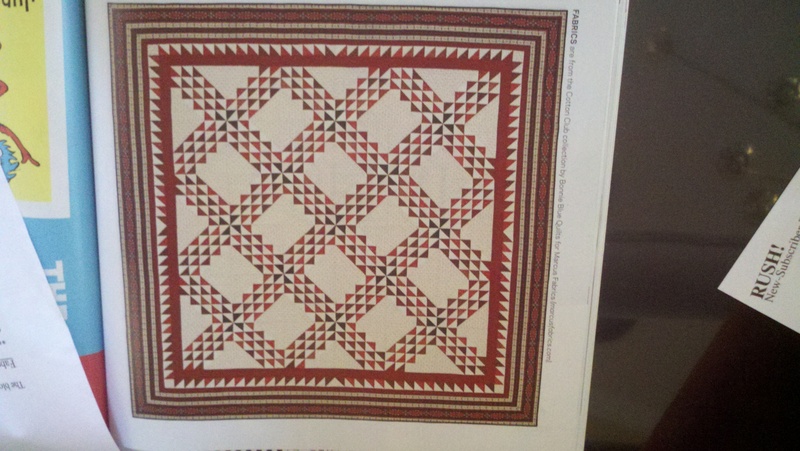 It has always been positive, and simple, and lately it seems like the quilt maker just wants me to provide batting and quilt it, then send it back to them for the finish. That’s fine by me :). 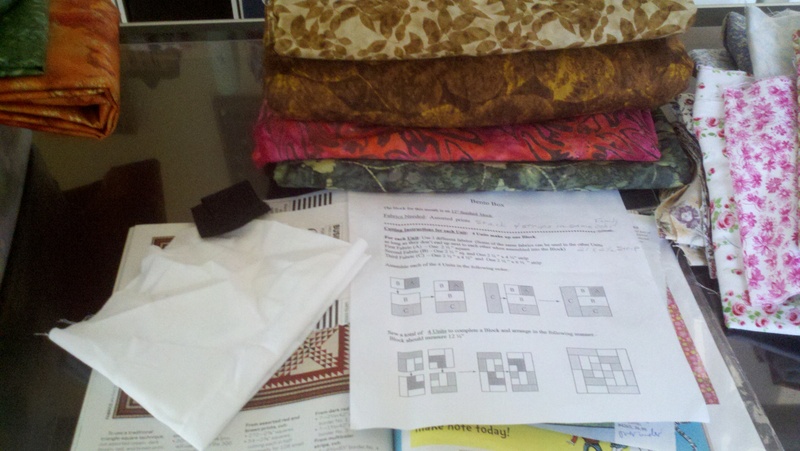 When the quilt arrives, I am eager to see what the quilt maker has chosen as far as pattern and color. It is often red, white and blue, but not always! 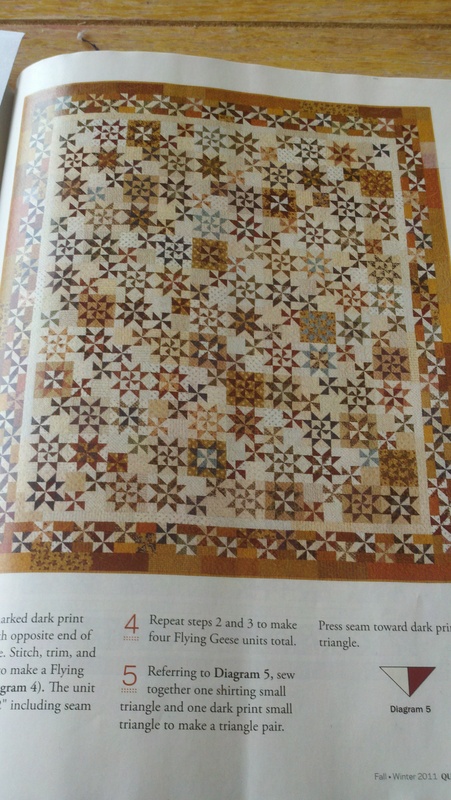 There are a variety of patterns and degrees of difficulty to these quilts, which means I need to carefully choose the quilting stitching I want to use. One style will not work for all. 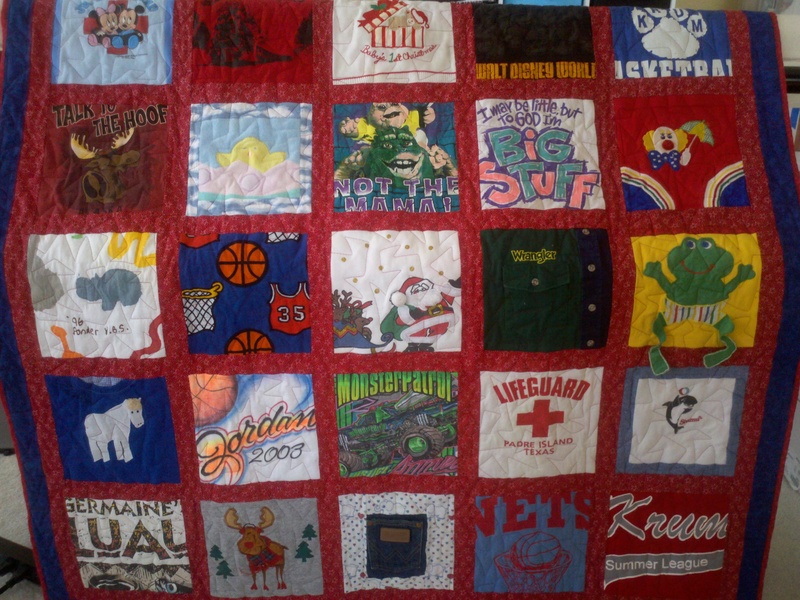 But I also know that this quilt was made with a veteran in mind. And I quilt it with that reverence. I am so proud to be able to give back in this manner. I was super excited this time, despite being completely unsure of how it was going to turn out when I first opened the box. 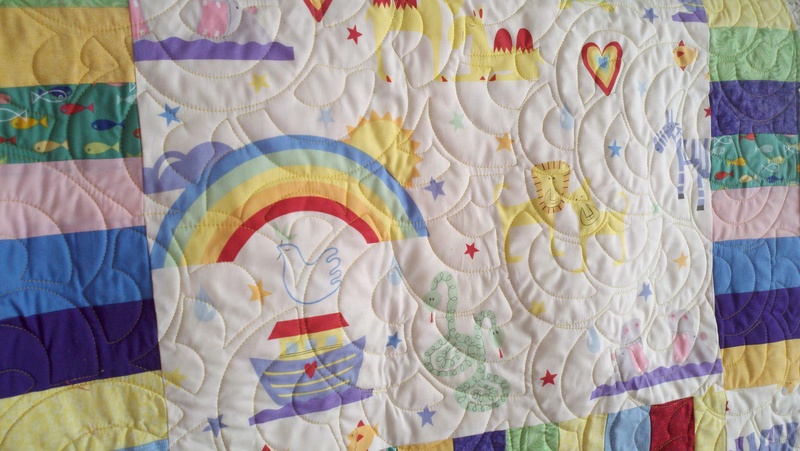 Once I took the quilt out I noticed that near every square had more than one fabric with stars in it. But I think stars need to be WITH something to look good. 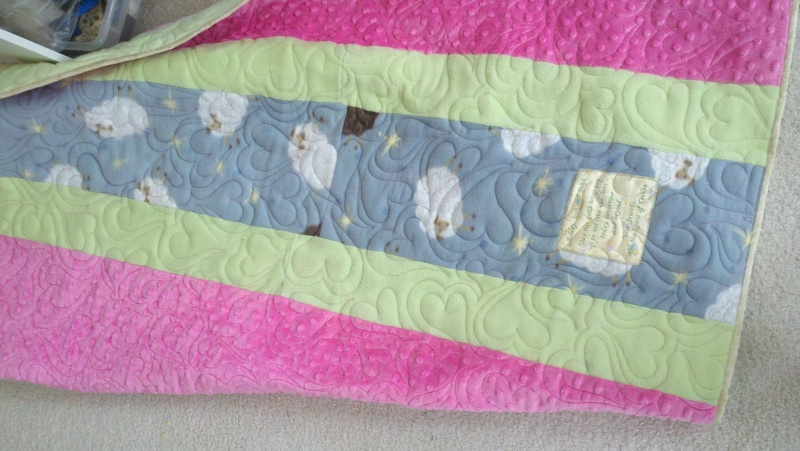 I’ve done a meander with stars, loops with stars, but those didn’t seem just right for this quilt. And then it came to me. The blue fabric has shooting stars. 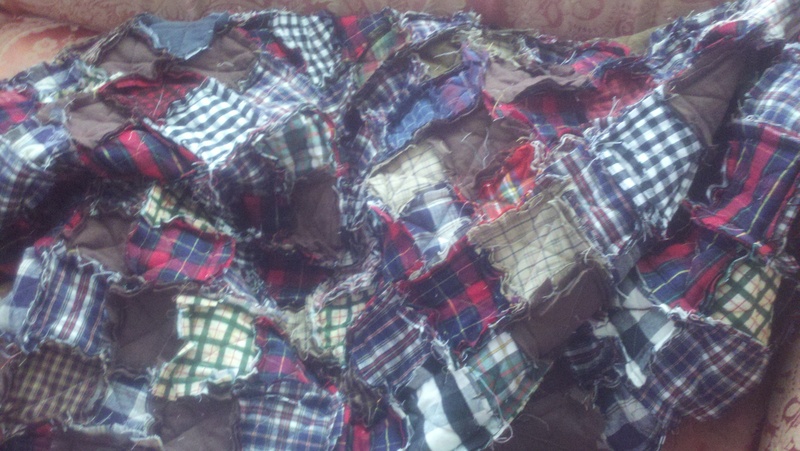 I have quilted a flame-like meander. I thought, I should combine those because the streaks would make this look like shooting stars! 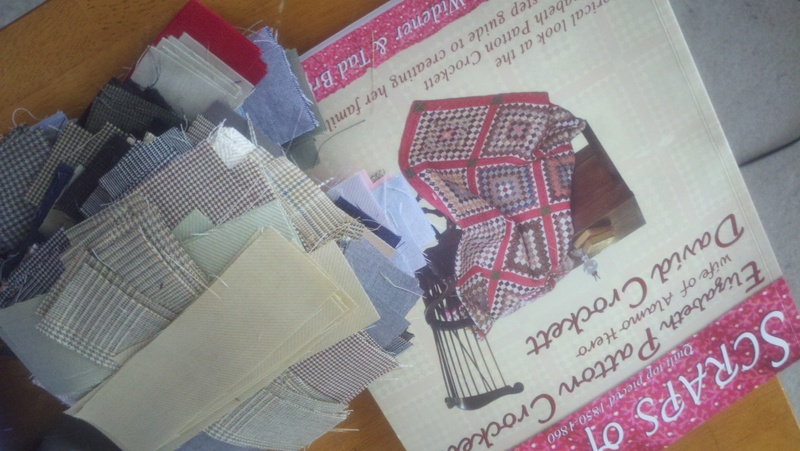 OK, now to select the thread. Well, when I have QOV’s that are red, white and blue, I like to use my variegated thread in those colors. Sometimes that can prove difficult. 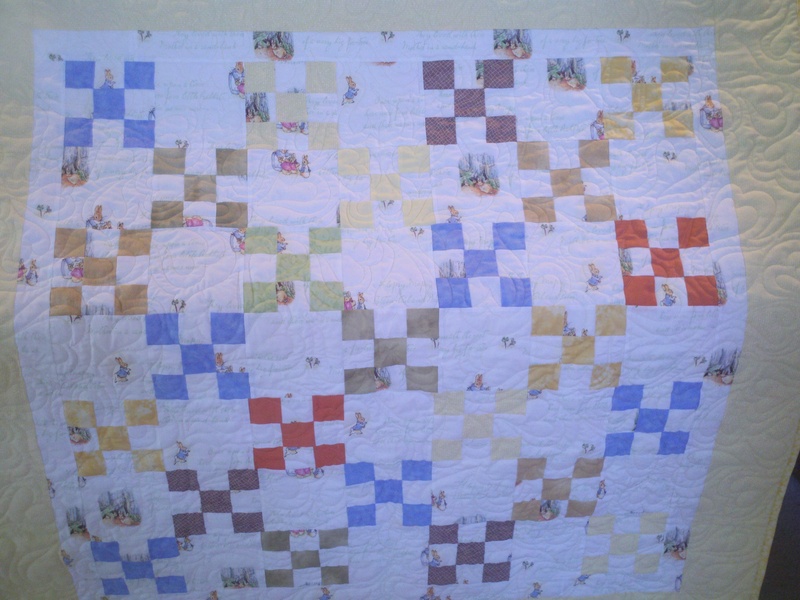 This quilt had more of a cream color to the top, and a plain white muslin back. Hmmm. Wait! Variegated thread in the bobbin is easy, so if I use that for the back, and then a cream on top, I will satisfy my color requirements and not have to deal with thread breakage issues! So I got to work, and quickly finished. I am very pleased with the result!